The 2004 Oscars were unusual in how lacking in sentiment they were. Usually you'd expect a veteran favourite like Clint Eastwood to be recognised, or some time-server to get best supporting something. But no, what Lord of the Rings didn't win went to choices seemingly unmotivated by heart-tugging or vote-rigging. The Grammys that year were another matter. 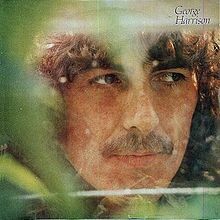 Best pop instrumental performance was given to the late George Harrison for Marwa Blues on his posthumously released Brainwashed album. It's a pretty enough Indo-fusion track on that otherwise ho-hum album (see below) -- but best pop instrumental? 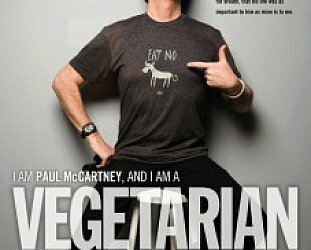 That seemed an excuse to acknowledge a dead Beatle. And one who had faded. But on the 10th anniversary of his death and with the three and a half hour bio-doco Living in the Material World by Martin Scorsese released, getting sentimental about "the quiet one" would seem to be on the cards again. Anyone who has read Abbey Road engineer Geoff Emerick's point-scoring book Here, There and Everywhere -- Emerick there at the Beatles first and last sessions, although he missd a few in between -- was perhaps surprised to read how down on Harrison as a guitarist he was. By Emerick's account -- even in the latter years of the Beatles -- Harrison was still fluffing his solos, having to do multiple takes and how frustrating this was for the others (notably McCartney would would sometimes do the guitar part himself just to get the damn thing finished). But by the closing overs of that remarkable career Harrison had grown in confidence -- his embrace of Hinduism and Indian music gave him something which was his alone in the band -- and although a nagging perfectionist in the studio, he was turning up with mature and impressive songs. Of course many of them were sidelined in favour of Lennon and McCartney material, but that just meant when the game was up in 1970, Harrison had material for a launching pad of a solo career. And Harrison's solo career started with a bang, although he described his epic triple album debut All Things Must Pass of '70 somewhat more graphically as "diarrhoea" after having so many songs held back during his last years as a Beatle. 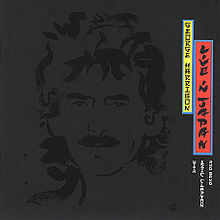 His next solo album, Living in the Material World ('73, in a hopelessly unattractive cover), was a sometimes over-earnest affair elevated by the single Give Me Love. And yet a fair re-hearing unearths it as an album of sometimes sublime songcraft. It went to number one in the US but, ironically, no one speaks about it these days. It's a rare one in Harrison's early solo career which is actually worth a rediscovery (alongside the genre-defying Wonderwall soundtrack and stand-alone album). 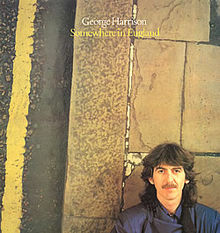 In February '74 Harrison formed his own Dark Horse label, although he was still contractually obligated to Apple for Dark Horse ('74) and Extra Texture ('75), which were professionally executed but bereft of gripping songs, notably the latter where he presented watered-down references to his best Beatles songs (although re-heard from a distance This Guitar Can't Keep From Crying is actually a fine piece of work). Harrison then released six albums on Dark Horse, but after a flying start with Thirty Three and a Third (which, if it hadn't been delayed, would have been his age as well as the playing speed) there were diminishing returns. The final album released in his lifetime, Live in Japan, recorded on his brief '91 tour, proved his voice, always thin and reedy, was no longer up to it -- which made his other posthumous Grammy nomination, best male pop vocal for Brainwashed, simply laughable. EMI acquired Dark Horse in the early 2000s and re-issued the six Harrison albums as The Dark Horse Years with extra liner notes and minor league bonus tracks. They also come in a box set with an informative booklet and an excellent 70-minute DVD of interviews, videos (most proving Harrison's humour) and some live clips. Harrison cracked a surprising number of radio-friendly if not chart-damaging singles: Give Me Love, This Song, Blow Away (the latter which Enya plagiarised for Orinoco Flow), All Those Years Ago and Got My Mind Set on You. They punctuated albums carrying the ballast of his philosophical thoughts. 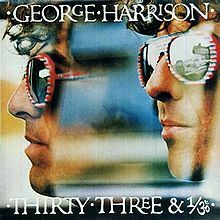 Thirty-Three and a Third ('76) came out in the context of early punk and disco but Harrison's spiritually-inclined MOR country-rock with slide guitars owed nothing to either. It is consistent and contains his tribute to Smokey Robinson (Pure Smokey) alongside his witty This Song (a swipe at Bright Tunes who sued him for plagiarising the chords of My Sweet Lord). And there's a more than decent treatment of Cole Porter's True Love. It's a pleasant album and has aged better than some which would follow. Four stars would seem fair. George Harrison ('79) has its moments (Love Comes to Everyone, Blow Away) but lovely though Here Comes the Moon is, it obviously draws inspiration from his Beatles' song Here Comes the Sun. 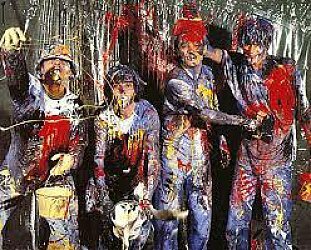 The lame Not Guilty ("for looking like a freak, making friends with every Sikh") dated back to Beatles days and as a consequence seemed . . . dated. By this time no one cared about his embrace of al things Indian a decade previous. He still crafted beautiful melodies but it's a lyrically patchy album and the start of the artistic decline. A sound three stars. Somewhere in England ('81) -- reissued in its original but withdrawn cover -- opens with a whine about the music business (Blood from a Clone) then wags a finger at party people (Unconsciousness Rules), which were unattractive digs from a man who said he had found contentment (and, from what Scorsese's doco tells us, enjoyed a belt of coke often enough as well as the pleasures of the flesh). His Save the World was another lecture, and two Hoagy Carmichael covers suggested the songwriting well was drying up. Sole interest rested on McCartney and Ringo contributing to the Lennon tribute All Those Years Ago. 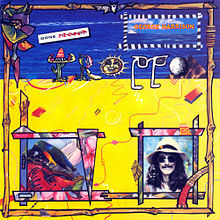 Gone Troppo ('82) is conspicuously free of memorable songs and was his only album not to dent the Top 20. 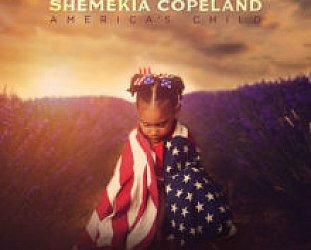 Beautifully produced and played, but while some of the songs are jaunty they are weak and empty. A prime offender is the mock doo-wop I Really Love You. We are now firmly in one star territory. And by this time very few were listening to Harrison and even fewer calling for more. 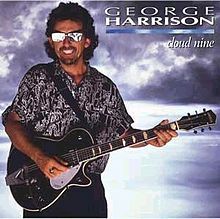 Cloud Nine ('88) proved to be his final studio effort and was a much more satisfying album. It never strains for effect, there's his loving Sgt Peppers-styled tribute to his former band (When We Was Fab) and some customary grumpy swipes (talkback stations on Devil's Radio). There was also the radio hit (his 50s cover Got My Mind Set On You) and some lovely ballads. It was textured and a real return to form. A four star George again. Harrison talked up the uneven Live in Japan ('92) in media appearances but sales stalled and he retired. Disappointingly he went out on this one, a one star album. As a solo act -- and yes, there was the Traveling Wilburys -- that was it until the posthumous Brainwashed a decade later. The handsome box-set reissue reminds you Harrison was increasingly a man out of time. His gentle music often sounded slight, while his finger-pointing lyrics were at odds with others which spoke of inner peace. 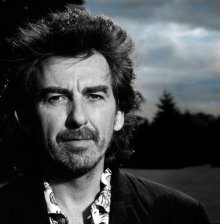 So, a buyer's guide to solo George Harrison? All Things Must Pass remastered and re-issued in 2002 with some extra tracks (with an interesting revision of My Sweet Lord which initailly sounded pointless but actually has many merits) is essential. Then it's Cloud Nine and Thirty Three and a Third. And those wanting a very different Harrison album (one on which he doesn't sing and embraces Indian music as much as oddball pop) then Wonderwall is essential. After that you'd be taking to Harrison's solo work with a fine-mesh sieve to find any nuggets. But what of Brainwashed (2002)? The problem with music released after an artist's death is that sentiment tends to overwhelm any cooler assessment of the work in hand. When Elvis died, his mediocre single Way Down was suddenly propelled to the top of the charts. And only a Lennon devotee could argue that his Double Fantasy album was worthy of its number one slot in late 1980. Being shot doubtless had something to do with it. And so . . . Brainwashed. Without being cruel, the world was hardly demanding it and George himself was in no great rush, either. His previous album Cloud Nine was in '87 and his few musical contributions in the previous decade and a half were a couple of modest Traveling Wilbury albums, those two embarrassing Threetles' singles and an appearance on a Jools Holland album. Dead Lennon had more stuff released in the same period. So did Ringo. But the inevitable in life -- death -- can be a great prompt to tidy things up. After being diagnosed with cancer in '97, Harrison started to polish some songs which had been languishing in his studio, some for many years. Let's be honest: Harrison is an acquired taste. His voice is thin and reedy and doesn't have much range, and the music of his post-Beatles' career owed little to either their pop-smarts or ambitious Pepper-period work. After his groundbreaking All Things Must Past his songs were wordy, often clumsy and slightly finger-wagging. 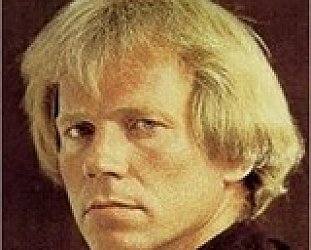 Sales suffered accordingly throughout the Seventies and Eighties, although he still sprung a surprising number of hits as already noted. His spiritual beliefs were often to the fore lyrically, yet occasionally -- as on Blow Away -- his music has a lightness of touch, a breezy and elevating quality. 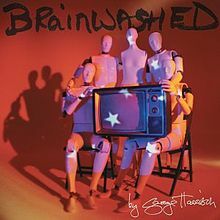 So Brainwashed came with the usual Harrison drawbacks: wordiness and weediness. There was no late-in-life "new direction", in other words. As always with posthumous albums, some lines make you gulp: "I was almost a statistic inside a doctor's case". But for the few tracks which sound like the Rutles-doing-Wilburys (Rising Sun is almost hilariously funny in that regard, except it's serious) there are songs of genuine charm and yes, even beauty. 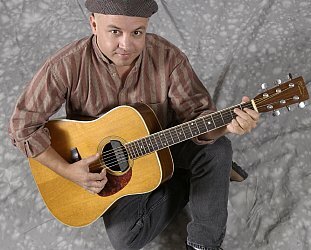 Sentiment needn't be a factor when faced with the sincere Never Get Over You, Stuck Inside a Cloud and that pleasant if hardly earth-shattering (but Grammy-winning) Indo-fusion instrumental Marwa Blues. Wilburys' fans will enjoy the lazy Rocking Chair in Hawaii, and as he often did he goes back to his childhood for an oldie, this time Harold Arlen's Devil and the Deep Blue Sea with Jools Holland on piano. Brainwashed is consistent with Harrison's solo career after the mid-Seventies: earnest and aspirational, unassuming and modest, slightly school teacherish, and woven together by Indian philosophy and that slide guitar sound which was his aural fingerprint. No surprises from George, then. No big deal. But no more from him either. There is much more on George Harrison at Elsewhere here, and the Traveling Wilburys career is here. 'Too Harsh' is the understatement of the decade. Can't quite believe what im reading here - always thought You had a great respect for George Harrison and his music Graham. Anyone that has only listened in passing to the Fab's solo catalogue will know that Harrison's output is by far the most consistent of the Beatles solo output. Much more even and solid that both Lennon and McCartney's. Cant believe you labelled the Wilburys albums 'modest'. Would that explain why they topped the charts more than 20 years later when they were re-released? I cant think of any other re -release thats done that. The most ridicilous thing here is your almost complete dismissal of Brainwashed - which is a bloody fine effort. Listen to Pisces Fish and tell me his voice has gone. I agree it may be somewhat of an acquired taste but its like Dylans voice- technically not great, not for everyone but he has more soul than the 'best' singer - dont tell me his voice isnt pouring with soul, emotion and expression. Live in Japan, what are you smoking?! It's an amazing album, pretty much my dream concert - amazing performance and vocals, incredible song selection and new arrangements, far better than any McCartney show yet you only scored it a 1/5. That is certainly higher than i'd rate your judgement here. 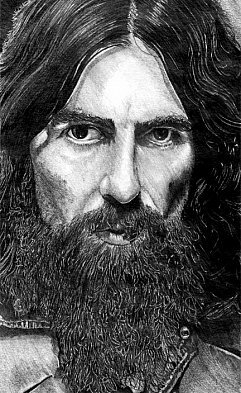 And again My Sweet Lord 2000 - i realise its a matter of taste but i much prefer the 2000 version - the guitar is beyond stunning and his vocals are much more profound and heartfelt than the original. You can tell he has actually lived it and practised what he preached from when he 'sung it' back in 1970..
Lastly about what you label as 'finger pointing' and preachiness is actually consistent with his beliefs and the teachings he followed - those of Bhaktivedanta Swami etc. The world is completly out of balance and pretty much upside down and you want him to sing and write all cheery like hes still a mop top, 20 years old and knows no better?! Harrison was deeply affected by a world gone crazy - where 99% of us have our priorities all wrong and wanted to say something about it. Who else does on such a deep level? Im not talking about we are the world or anything here..he is truly unique, and he had the balls to say something. And its all of us including himself he's talking about, its the whole point of ''Brainwashed.."
You sum Georges career up as "no big deal". Well maybe not to you Graham, but its a bloody big deal to me, and im only in my late 20's. Life changing is how I'd describe his solo music and message. You can just listen to your mop tops if thats what you want, but for those looking for something deeper or more meaningful Solo Harrison is alot more fulfilling and a lot more fulfilling than this 'review' would indicate. If that's all you got from listening to all this profound, sublime music, i actually feel sorry for you more than anything else. 'Too Harsh' is the understatement of the decade. Can't quite believe what im reading here - always thought You had a great respect for George Harrison and his music Graham. Anyone that has only listened in passing to the Fab's solo catalogue will know that Harrison's output is by far the most consistent of the Beatles solo output. Much more even and solid that both Lennon and McCartney's. Cant believe you labelled the Wilburys albums 'modest'. Would that explain why they topped the charts more than 20 years later when they were re-released? I cant think of any other re -release thats done that. Free as a bird and Real Love embarrasing? Rising Sun lyrics hilarious? Rising Sun is basically a Deepak Chropa cowrite (uncredited) I'm sure Dr Chopra would be glad he has at least made you laugh, even if youve missed the point entirely. Maybe its a bit too deep for you, as is Marwa Blues - which is beyond sublime. It rightly won that Grammy - to compare it to any other pop instrumental is what is laughable, its out of the world... The most ridicilous thing here is your almost complete dismissal of Brainwashed - which is a bloody fine effort. Listen to Pisces Fish and tell me his voice has gone. I agree it may be somewhat of an acquired taste but its like Dylans voice- technically not great, not for everyone but he has more soul than the 'best' singer - dont tell me his voice isnt pouring with soul, emotion and expression. Live in Japan, what are you smoking?! It's an amazing album, pretty much my dream concert - amazing performance and vocals, incredible song selection and new arrangements, far better than any McCartney show yet you only scored it a 1/5. That is certainly higher than i'd rate your judgement here. 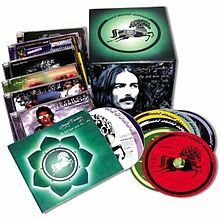 And again My Sweet Lord 2000 - i realise its a matter of taste but i much prefer the 2000 version - the guitar is beyond stunning and his vocals are much more profound and heartfelt than the original. You can tell he has actually lived it and practised what he preached from when he 'sung it' back in 1970.. Lastly about what you label as 'finger pointing' and preachiness is actually consistent with his beliefs and the teachings he followed - those of Bhaktivedanta Swami etc. The world is completly out of balance and pretty much upside down and you want him to sing and write all cheery like hes still a mop top, 20 years old and knows no better?! Harrison was deeply affected by a world gone crazy - where 99% of us have our priorities all wrong and wanted to say something about it. Who else does on such a deep level? Im not talking about we are the world or anything here..he is truly unique, and he had the balls to say something. And its all of us including himself he's talking about, its the whole point of ''Brainwashed.." You sum Georges career up as "no big deal". Well maybe not to you Graham, but its a bloody big deal to me, and im only in my late 20's. Life changing is how I'd describe his solo music and message. You can just listen to your mop tops if thats what you want, but for those looking for something deeper or more meaningful Solo Harrison is alot more fulfilling and a lot more fulfilling than this 'review' would indicate. If that's all you got from listening to all this profound, sublime music, i actually feel sorry for you more than anything else. I fully agree with the post above. 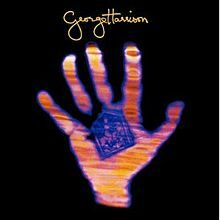 George's music, for the Beatles and as a solo artist, is marvellous to me, a thing of wonder and many riches. It is precisely his simplicity and humility as a songwriter and - oftentimes - as a lyricist that makes him exceptional. Especially in the context of the Beatles and rock/pop music. Sure he can be criticised, and no, we need not be sentimental now that he is gone. But I loved George's contributions to the Fabs and his solo output as it was born, emerged and grew. The gentleness, the care, the sheer effort he put in. The sincerity. The beauty of it all. A bus driver's son with talent to share. I think Within You Without You is the second best track on Sgt Pepper after A Day in the Life. I think Long Long Long is one of the best tracks on the White Album. And no need to mention George's contributions to Abbey Road. I agree that quite a bit of the later solo work is mediocre, but then there's Cloud Nine. Which is a joy from beginning to end, and just a lot of fun. And much of Brainwashed is lovely, too. Anyway. This is just to try to restore some balance, after what I found to be an unfair review. Criticism where it's due. But there's a special, hard-to-define quality to so much of what George wrote, played and sang. I fully agree with the post above. 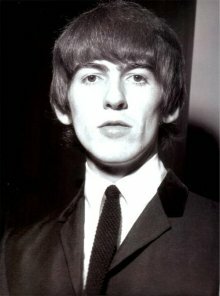 George's music, for the Beatles and as a solo artist, is marvellous to me, a thing of wonder and many riches. It is precisely his simplicity and humility as a songwriter and - oftentimes - as a lyricist that makes him exceptional. Especially in the context of the Beatles and rock/pop music. Sure he can be criticised, and no, we need not be sentimental now that he is gone. But I loved George's contributions to the Fabs and his solo output as it was born, emerged and grew. The gentleness, the care, the sheer effort he put in. The sincerity. The beauty of it all. A bus driver's son with talent to share. I think Within You Without You is the second best track on Sgt Pepper after A Day in the Life. I think Long Long Long is one of the best tracks on the White Album. And no need to mention George's contributions to Abbey Road. I agree that quite a bit of the later solo work is mediocre, but then there's Cloud Nine. Which is a joy from beginning to end, and just a lot of fun. And much of Brainwashed is lovely, too. Anyway. This is just to try to restore some balance, after what I found to be an unfair review. Criticism where it's due. But there's a special, hard-to-define quality to so much of what George wrote, played and sang.